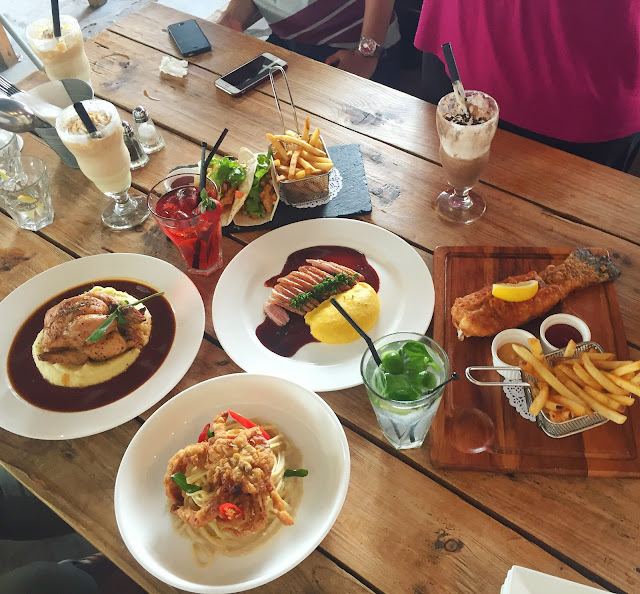 Fiq's Gastronomy (new menu) review! If you follow me on instagram, you'd know that one of my favourite places to eat is at Fiq's Gastronomy. It's located at SS19 in Subang and the space is very spacious. They have a surau there for Muslims to be able to pray comfortably(it's air-conditioned). I know the owner/chef and I can vouch that the amount of hard work,passion and love is apparent in any of the dishes that you order there. Chef Syafiq studied at the prestigious Johnson and Wales University in Providence, Rhode Island and graduated with a Bachelor of Science in Culinary & Food Service Management. He did a vigorous training with 3 Michelin Star Chef Jean Gorges at his flagship restaurant in New York City of the same name and James Beard award nominee Chef Jonathan Cambra. With that kind of credentials, you know that you'll have a great meal! Fiq's Gastronomy even works closely with local purveyors/farmers and source some of their ingredients like soft shell crab, oyster mushrooms and many more from them. At Fiq's they make their OWN salted beef, bread, butter, fries, waffles and many more. The amount of dedication that they put when making your food for you, justifies the price that you're paying. Before I ramble on even further, let me show you the pictures of the delicious food that I tasted there recently. This roast chicken is not unlike any other that i've tasted before. It's definitely not your run of the mill Ayamas/ Kenny Rogers/Nandos. Here they use spring chicken and served it whole. For RM 35, that's a steal! You can easily share this with 2-3 people. That delicious mesquite bbq sauce goes perfectly well with it. And of course, that bed of mashed potatoes..it's so silky smooth..you feel like shedding a tear on how perfect it is. a twist on classic fish & chips, fried sea bass, chili powder, house fries. My husband and I loveee eating fish. Next to duck, that's our favourite protein. 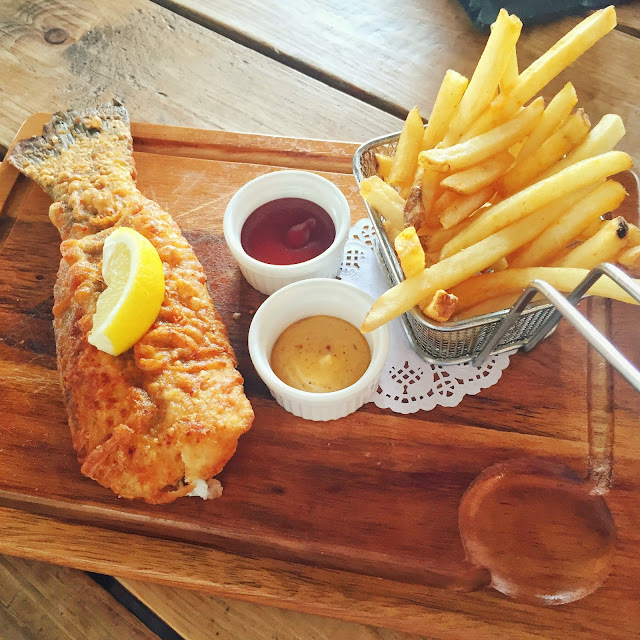 We've had our fair share of fish and chips but we've to admit that Fiq's Gastronomy version is the most unique one. Because they serve a whole fish! It's great sharing this between 2 person. Definitely money well spent! As a Muslim in Malaysia, it's hard to find halal and delicious duck dishes. But luckily, you can find them at Fiq's! And boy is this dish soooooo good! If you watch cooking shows as much as I do, you'd know what sous vide is( https://en.wikipedia.org/wiki/Sous-vide). If you don't, it's basically a technique whereby it involves sealing the duck in airtight plastic bath and the submerge it in a water bath and it cooks the duck while retaining the moisture. 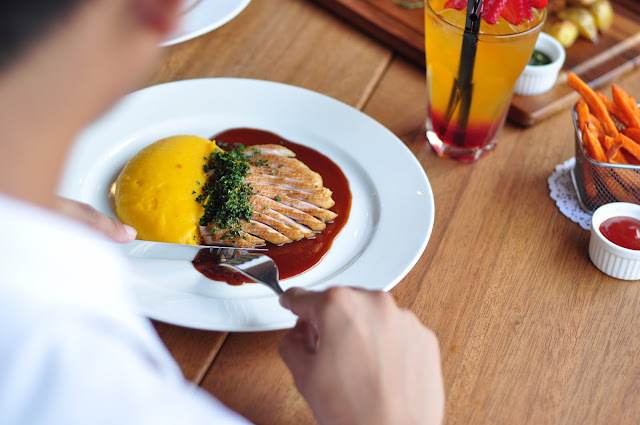 The sauce pairs so well with the duck and that whipped carrot potato mash is heavenly! This is a MUST TRY dish whenever you go to Fiq's. This is another favourite of mine and it's so delicious. There has been moments where I think about this dish and crave for it. I love how at Fiq's they don't drown/drench your pasta with sauce. That's not the right way to eat pasta (but I see a lottt of cafes doing so...)! Here, they coat your pasta beautifully with the sauce..so every strand of spaghetti is covered in the sauce but it's not too much. 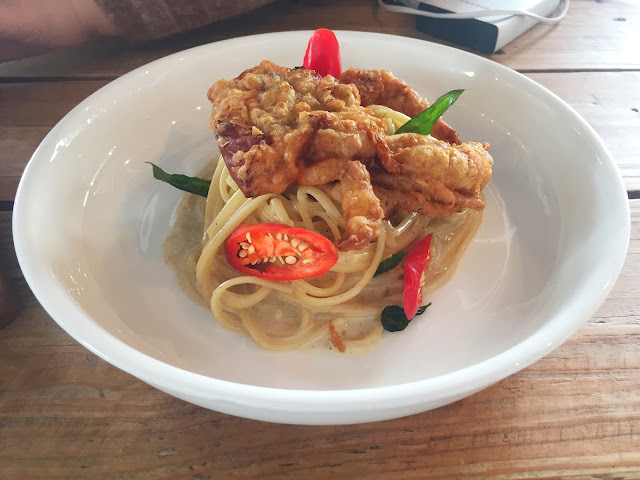 The perfectly crisp,crunch and golden brown soft shell crab pairs well with the creamy and buttery pasta. I love fish tacos! But it's hard to find them anywhere. Thank God they're served at Fiq's. This dish is refreshing and bright. 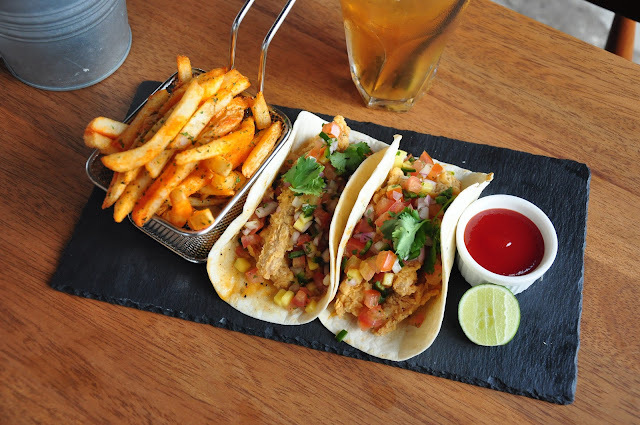 The mango salsa give a burst of freshness to the crispy fried tilapia. And I love their sweet potato fries. It's fluffy on the inside and crunchy on the outside! This is the dish that I've ordered twice at Fiq's because I just love it. It's a beautiful beautiful dish. 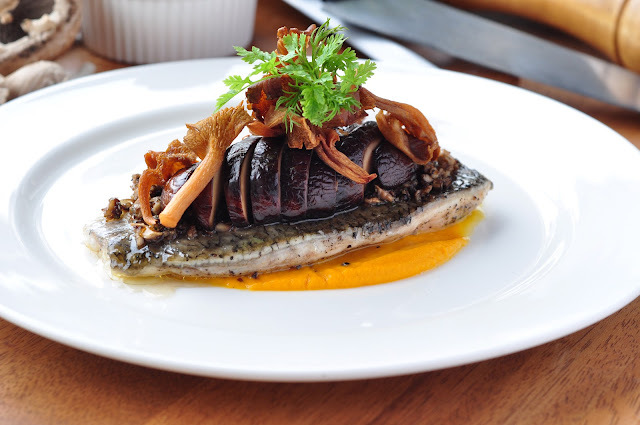 A perfectly cooked fillet of sea bass served with carrot miso puree(which is divine!) and portobello mushrooms on top with crispy oyster mushrooms on top. 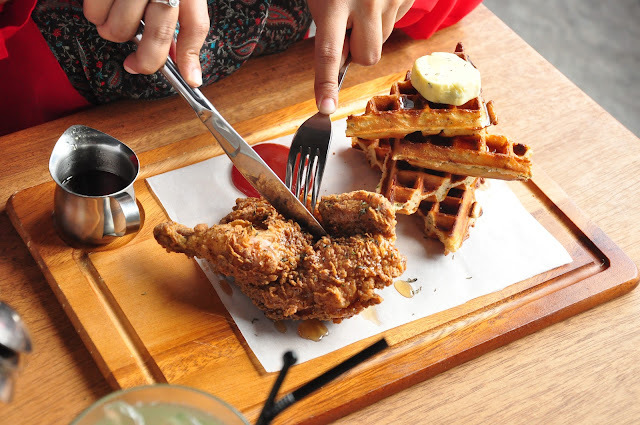 I love fried chicken and this one is one of the best that I've tasted. I don't know what's the coating that they used but it's sooo good. 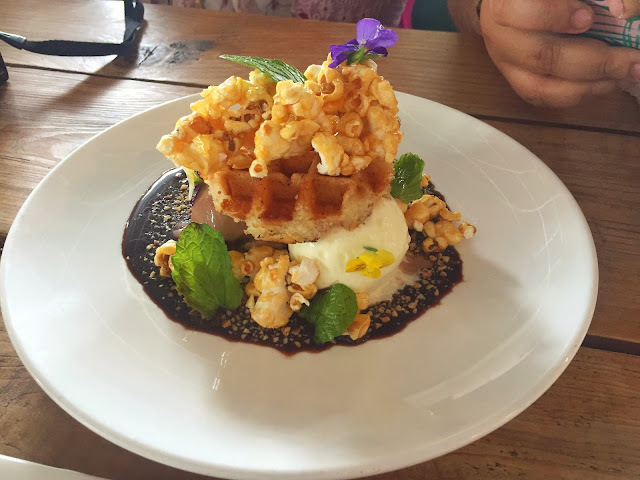 They serve the waffles with a side of gula melaka...the combination of sweet and savoury is really good. The banana split at Fiq's Gastronomy is not like the usual banana split that you get at any restaurant. In fact, I think they're the only one who's serving it this way. And it is so good! You mix everything on your plate and take a bite...you'll swoon! That warm fried brioche with the cold ice cream, the caramelized bananas..the peanut butter "powder"..it's the best banana split I've ever had! I love waffles! And the ones served here is realllyyyy good. It's crispy on the outside but fluffy on the inside. That salted caramel popcorn is addictive and goes well with the ice cream. an Italian version of “ABC” but we’re keeping it simple with raspberry shaved ice, vanilla cream and pop-pop! It's hard to find a good milkshake in Klang Valley. I've been to places that served "milkshakes" only to find that it's watery..sorry but ewww. Milkshake is suppose to contain lotsss of ice cream with a little bit of milk! And at Fiq's they're doing it right as it is thick and creamy. You MUST order this milkshake. They blend Snickers candy bar in it as well. It's the best milkshake that i've tasted thus far. 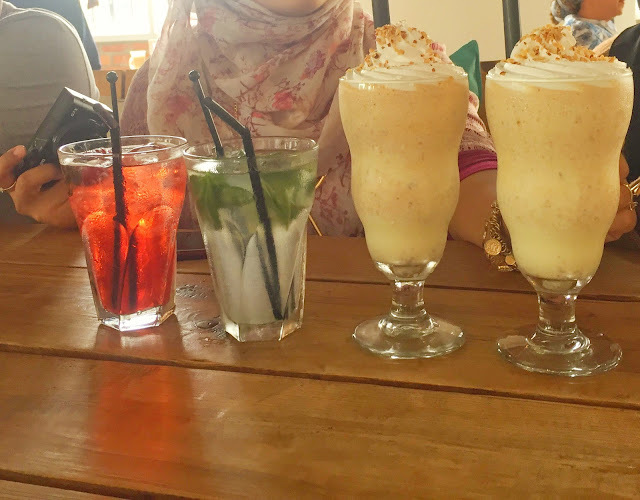 Fiq's doesn't serve alcohol but they have an array of mocktails that are refreshing! Hubs and I ordered these..and they certainly quenched our thirst.